We kicked off our travel adventure with a month-long trip around New Zealand. Here’s a breakdown of our New Zealand travel costs, from food and accommodation to activities and transport. How much does it cost to travel in America? Hostel costs in 2018 are similar to 2013 prices (according to Booking.com). To stay in the same places in 2018, it would cost us around £36 more than it did in 2013. 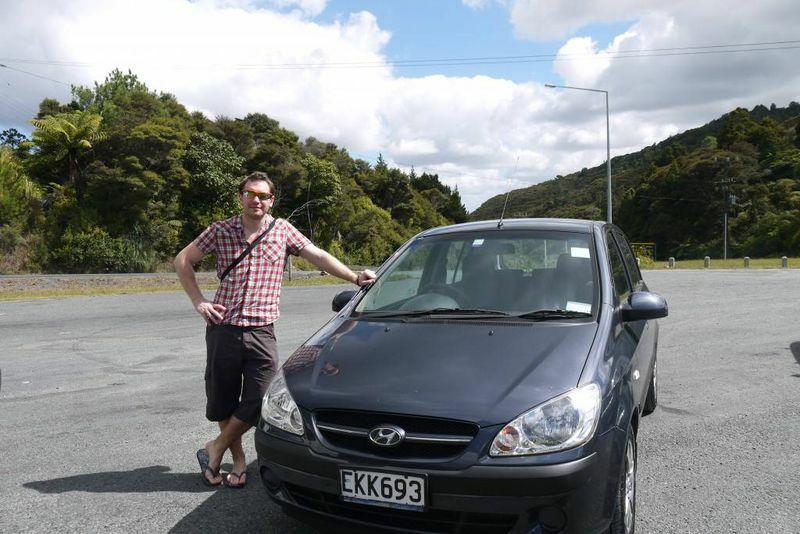 Car rental has gone up by about £80 but fuel prices have dropped by about 6.5 percent and the Interislander ferry is £10 cheaper in 2018 than it was in 2013. 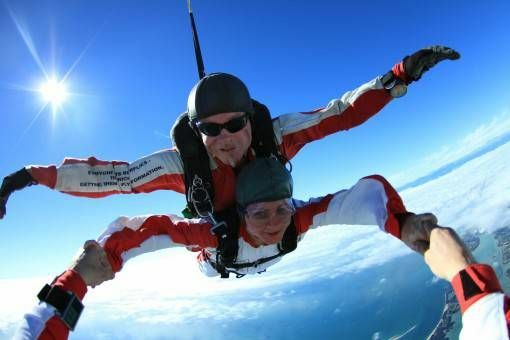 For activities, the Abel Tasman skydive is about £30 less today than it was in 2013 and a Milford Sound cruise is £10 cheaper per person in 2018. The Rockboat and heli-hike have increased by around £30 per person though. It can be incredibly expensive to travel New Zealand, especially if you decide to take advantage of all the exciting activities on offer like bungee jumping, skydiving, glacier hiking, jet boat riding and black water rafting. Even the gentler activities such as scenic flights, visiting the glowworm caves and thermal spas will chip away at your travel cash. Since the country is surrounded by water and islands there are also many tempting boat trips to spend money on. Here’s a list of the activities we decided to do while in New Zealand. We got ten percent discounts on some from visiting the World Travel Market in London and writing about our experiences. This saved us about £100 overall, not bad. Discounts on activities are pretty easy to come by once you get to New Zealand and shop around. Pick up an Arrival magazine from the airport and some leaflets from an iSite tourist centre to suss them out. Don’t forget that there are also plenty of free things to see and do in New Zealand. These include exploring cities, hiking or lying on a beach. We mainly stayed in private hostel rooms with shared bathrooms which cost on average £30 per night (for two people). We found the majority of hostels were clean, quiet and well-situated. The best was Rainbow Lodge in Taupo where we had our own bathroom and use of the cleanest hostel kitchen we encountered in New Zealand. However, Planet Backpackers in Rotorua and Tairua Beach House were less desirable in terms of cleanliness. We even spotted a dead cockroach in a kitchen drawer in Tairua. We also found three places through AirBnB, if you haven’t used the site yet you can get a £25 discount using this code. In Tongariro we had a whole house to ourselves for only £25 per night and in Wellington we stayed in a shared house for £22 per night. One of the best places we stayed throughout our whole trip was in an outbuilding in Wendy and Patrick’s back garden in Golden Bay. The room in Golden Bay itself was modest but we loved this couple, they were so welcoming. We spent an evening having dinner and chatting with them about our shared passion: travel. We also had an amazing time in Raglan, staying with friends of family in their rental apartment. The general living costs in New Zealand are pretty high and groceries don’t come cheap, particularly everyday staples like bread, milk and cheese. We only ate out three or four times while in New Zealand, mostly cheap meals like fish and chips. 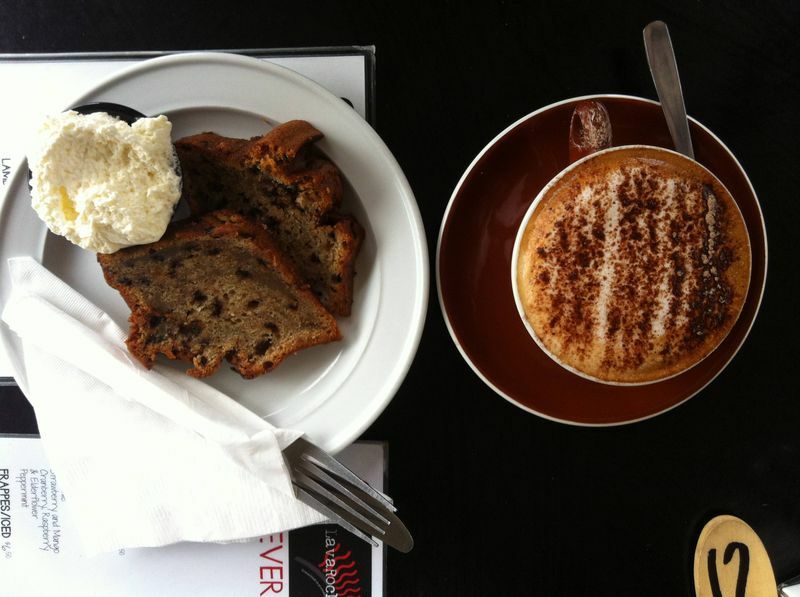 Occasionally we’d treat ourselves to coffee and cake in a cafe when it was on special offer. The rest of the time we cooked for ourselves. Typically we’d eat cereal, toast and eggs for breakfast, sandwiches and fruit for lunch and pasta or rice with vegetables for dinner. Alcohol is expensive in New Zealand. A pint of lager in a pub will cost around £5. We bought a whole crate (15) of beers for about £10 which we drank over the month and had a couple of beers out at a pub quiz night. We booked our flights from London to New Zealand about nine months beforehand which lowered the price significantly. We paid £1,082 for two people, which we included in our pre-trip costs. If you’re planning a trip to New Zealand we think it’s best to book a flight to Auckland and travel down through the North Island. Then use the Interislander ferry to cross over to the South and fly out of the country from Christchurch. This is the route we took and it allowed us to hit all the main hotspots. The only thing we regret is not having longer to explore the south island. There are a couple of options for getting around in New Zealand, you can get a pass on one of the tourist buses, catch the train or even hitchhike. We rented a car for the month to have total freedom and this was the best decision we made. Some areas we visited were very rural and would have been difficult to access through public transport. Having the car also meant that we could also move at our own pace, stopping off at look-out points, beaches and other spots whenever we liked. We drove around 2,200 miles across New Zealand, zig-zagging our way down the North Island and then catching the ferry across to the South where we did a quick nine-day loop down the west coast to Christchurch. Fuel cost, on average, 17 pence per mile which adds up if you’re covering a lot of ground. So, how much did our trip to New Zealand cost? Before we left the UK we guessed that we’d spend roughly around £3,000 during our month in New Zealand. As you can see from our final costs, we spent about £1,000 more than that in total. Our biggest New Zealand travel expenditure was on activities, some of which we only decided to do while we were on the road, such as the scenic flight and Polynesian Spa. We also added a few extra pounds to our total by opting for the skydiving video and picture packages. However, we’re so glad we have these to remember our experience by. All the activities we did were amazing and we don’t regret spending money on any of them. We’re pretty happy with how much we spent on food and accommodation too. The only way we could have reduced these costs would have been by eating unhealthily or sleeping in noisy dorm rooms, which we think would have ruined the trip for us. There’s no getting around it, New Zealand is an expensive country to travel around. We don’t regret a thing about our amazing month there though. Do you have any New Zealand travel costs to share? Let us know in the comments below. I forgot to mention it, but we actually used the Trail Wallet app to keep track of exactly what we spent and it really helped. We definitely don’t regret any of the money we spent there but we are looking forward to getting to Asia so our bank balance can recover! Yay! So glad you found Trail Wallet useful to help keep track. It’s easy for things to get out of control in New Zealand but it’s also important to make the most of all those fun activities. We’ve found we’ve never regretted the money we spent on splurges. Happy travels guys! Thanks Erin – Trail Wallet is an awesome app and we’ll continue to use it throughout our travels; looking forward to seeing what else you Guys come up with in future! Amy, what car hire company did you use please? Hi Brenda, I’ve sent you an email. It was Juicy through Economy Car Rentals. Hi Alli, I’m glad we splurged too. Definitely look into the Trail Wallet app – it’s well worth having. If you enjoyed what you spent the cash on (as you both clearly did!) then it’s was worth every penny. NZ looks like similar prices to Oz, where I spent a ridiculous amount of money. But you go to these places to do and see what the place has to offer, you’d regret it if you didn’t spend the cash to do it! I’d never heard of Trail Wallet, will be checking it out! That’s true Charlie, we would have regretted not doing all the activities just to save money. Australia is working out pretty expensive too; can’t wait to get to Asia now! Australia is very expensive and my colleague said that the hostels are not that good either. Probably worth doing one out of Australia or NZ but not both at the same time as its getting expensive and maybe not good value. Yes, both countries are pretty expensive; if you’re planning to visit it’s worth saving up a fair bit of money to cover your costs. For now Amy I am going to watch your blogs on Vietnam, Indonesia etc. Australia out for now and NZ at some point a couple of years later. What a fantastic way to kick of your RTW! These trip reports are helpful other travelers. I stayed at guest houses as well. Its a great way to feel at home and cut down on the costs. So happy for you guys! Thanks Mig, we’re looking forward to staying in some nicer (yet cheaper) places in Asia. We’re pretty sick of cooking pasta now too so when we get to Asia we can eat out all we want! Sounds like you’ve had a brilliant time and that every penny was worth it. Thanks for the heads up with that app too, I’m going to look into it! We’re spending six months in western countries (three months USA/Canada, one month New Zealand, two months Australia) and I’m worried about how expensive it’ll be too! Trail Wallet is great, once you get it you’ll wonder how you lived without it! I’m sure your time in the expensive countries will be worth it too, have fun – looking forward to reading about your adventures. Great overview of your New Zealand spending. We spent 25 days traversing New Zealand (both islands) and came in at $180/day or $4,500 total. We were really surprised by how expensive all of the attractions were! Instead of the car rental/hotel path we did a camper van the entire period. We loved it for the freedom it provided, but between camper van and gas it ate up a very large part of our budget. Hi Dan, thanks for the comment. That’s one reason why we chose the car and not the camper, it would have bumped-up our costs considerably (not to mention that it was a bit cool in the south island at times and we would have felt that at night). The attractions were quite pricey too, like you say, although things like the Tongariro Crossing was free which was one of our highlights. We still say it’s the one country we would jump at the chance of going back to as we didn’t see nearly enough of it during our month. Well it seems NZ is on many people’s wish list and yet I am amazed at the expenses for 25-30 days. Plus the time to get there. I was thinking of going there for the World Cup in February but probably won’t as it might be a bit too much for me. This post is great and it’s so useful to have recent cost breakdowns. We’re planning a month trip to NZ over Christmas this year so are busy doing our research. I wondered if you could let me know what company you hired your car from? So far the ones I’ve had quotes from have come in at at least double what you paid. Thanks! Hi Heather, glad you found the post useful. We hired our car from Jucy; from what we could see they are by far the cheapest company. Bear in mind though that we went in March (NZ’s autumn) while you’re visiting in summer, that may impact the price. This is such a useful category! I love it! Hope to make it to NZ next december. Your trip sounds exactly how we like to travel- active and adventurous! Thanks Ash, I hope you get to NZ as it’s such an amazing country! Im an average budget traveler. I look for cheaper prices all the time. But now I don’t want to mind the cost.. all I want this time is to enjoy the charm of New Zealand. I really want to visit this place. For anyone returning to New Zealand and reading this post bookme.co.nz always have cheaper prices for attractions! Worth taking a look at before you book attractions! Me and my girlfriend are going travelling New Zealand in January. We want to hire a car but the quotes we have got are a lot more expensive than what you guys paid. Just wondering what car hire company you used? Hi John, sorry for the late reply. We used a website called Economy Car Rentals, but the car actually came from Juicy. We did get an incredibly cheap deal, I believe prices are a bit higher than that now. Have a great trip! Love your post! I actually live in New Zealand and I was thinking of creating a blog post about all of the things to do in New Zealand that are free or really cheap. There are so many amazing things to do here you wouldn’t find unless you know a local. Glad you enjoyed your stay!! 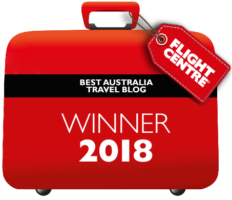 I am in the very early planning stages of a trip to New Zealand that my husband and I are hoping to do in March 2017 and I came across this blog and your post. 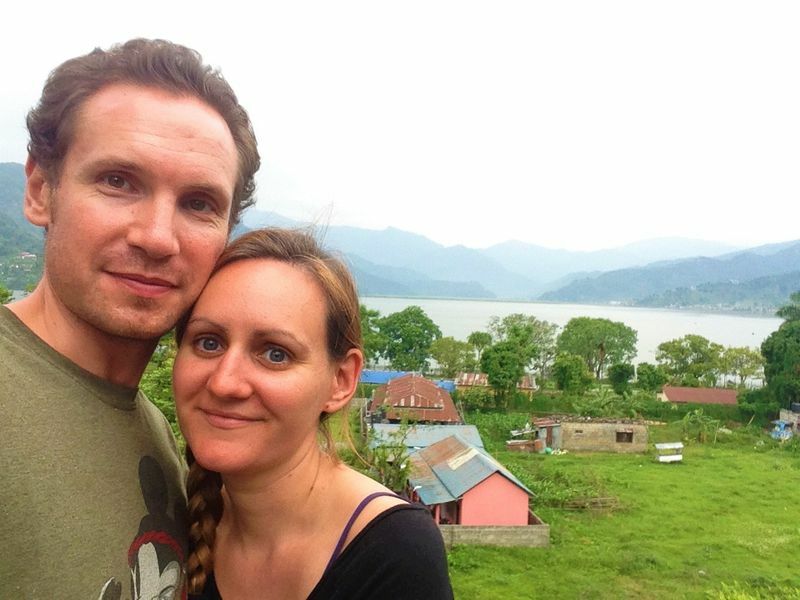 We are planning around 14-15 days total including travel time from the US, and we are looking for a mix of adventure/outdoor activity as well as experiencing the culture, people, food, music, wine, etc. The more I read, it seems that we may be better off spending all of our time in the south island and coming back for the North another visit since time is limited. Do you agree? I would love to hear more about the things the locals love to do, as you mentioned in the post above. Did you ever write that blog?!? I am so excited to be planning this trip, any advice or suggestions you can offer would be much appreciated! Thank You! Hi, I’m looking into renting a camper van with some friend for 6 days in New Zealand. This blog post was very helpful. I’m curious how much gas prices have changed since the post was written? 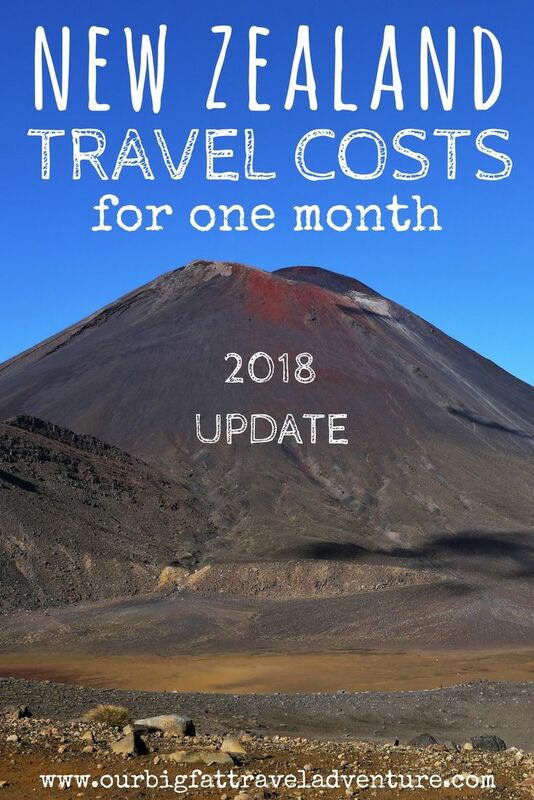 Fantastic blog,will be helping a lot.We will be touring NZ this May in a motorhome and will do my best to let others know the costs.Super excited. Hi Carol, I’m so glad you’ve found our blog useful. It sounds like you have a great trip lined up, have an awesome time! This seems like it would be pretty helpful to people. One extra tip that I give people, which I didn’t see here, is to check out supermarket websites to get an idea of how much random snack or ingredients costs. Sometime the price of food here can be a bit surprising for people used to picking up some chips or pizza for cheap. Hi, thanks for your comment and the useful tip, we did find groceries in NZ pretty expensive. posting on your site ? I can provide high quality articles for you. Your food costs (GBP16) are more than ours (NZD22) which was interesting – or is your Per Day column for two people. I couldn’t find where it showed this. Hi Paul, yes our per day column is for two people, so £16 per day for two people. Sorry for the confusion. Sounds like you did it even cheaper!